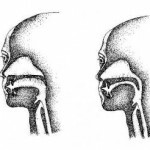 Today deviated septum surgery or septoplasty is the only permanent cure currently available if you suffer from a deviated septum. The surgery will take only a few hours followed by a few weeks in recovery. 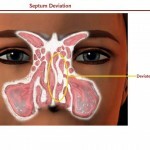 During septoplasty, your surgeon will cut off and remove the deviated part of your septum. Following this, a packing material will be used to provide structural support for the nose. When the surgeon opens your nose, the cells of your nose will see it as an attack; this will cause the cells in the nose to release certain chemicals which will cause severe inflammation. 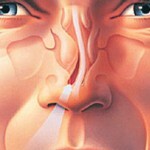 Because you the inflammation in the region of your nose, you will experience a lot of headaches. The inflammation of your tissue will gradually lessen and after a few weeks they will be back to normal. If you headache is due to stress, then you must lower it to cure your headache. 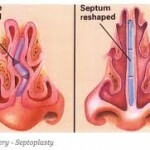 How to Deal With the Headaches due to Septoplasty? Painkillers: Most doctors following the surgery will provide you with a prescription for pain killers. For the initial week, you will be forced to use them. But using painkillers continuously for many days is not advisable. 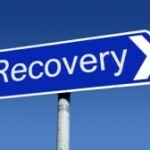 Quiet Place: When you are recovering stay in a quiet and dark room. This will make it easier for you to relax and sleep thereby lowering your stress levels. Meditation: If you suffer from stress headaches, try meditation to fight it. It is proven to work and is free; all it requires is dedication and practise. When to Contact Your ENT? If you suffer from the headaches even a month after surgery, then contact your ENT because your headaches may be caused because of other factors. But as long as your pain levels keep decreasing every few days, there is no cause of concern, you will be fine. 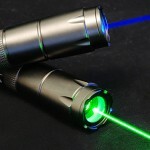 Deviated Septum Laser Surgery| The Future of Deviated Septum Surgery?